If you are looking for a podiatrist in Cedar Rapids, IA, we welcome you to our practice. One of the goals of our Web site is to provide you an extension of care. As you navigate through the site you will find a wealth of information about podiatry, foot and ankle ailments, treatments available, exercising and shoes. There is an overview of our practice including our doctor and staff, office hours, insurance and appointment procedures, maps, directions and contact information. As a licensed podiatrist in Cedar Rapids, IA we believe our patients deserve to have the information needed to make good choices about their foot and ankle care. Our goal is to educate each patient and begin a relevant treatment program with the highest quality of care available. Whatever your foot and ankle trouble, we'll work together to find the answers that will comfort you and bring you relief. We take pride in providing you with a comfortable office experience. Our qualified staff is friendly and will ensure a pleasant visit. Our main office is conveniently located in Cedar Rapids, IA. We invite you to e-mail or call our office with any questions via the contact us or request an appointment page of our Web site. 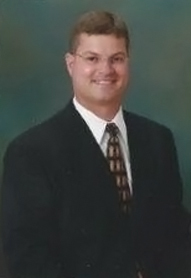 Dr. Peter E. Caldwell was born and raised in Cedar Rapids, Iowa. He was a graduate of Washington High School and Simpson College before attending the Dr. William M. Scholl College of Podiatric Medicine in Chicago, Illinois. He completed a residency in reconstructive foot and ankle surgery at Covenant Medical Center in Waterloo, Iowa. 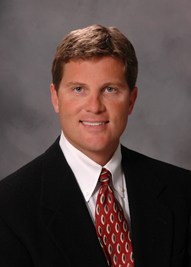 Dr. Michael Sullivan was born and raised in Nebraska and graduated from the University of Nebraska Omaha before obtaining his doctorate from Des Moines University in Des Moines, IA. He completed a three year surgical residency in Detroit, MI at Detroit Medical Center encompassing all aspects of ankle and foot surgery.